1. these conditions govern the customer relationship established between caesar data & software GmbH (caesar data) and the customer regarding the use of the web-based service offered by caesar data. 2 Deviating conditions of the customer do not apply. They shall not apply even if caesar data has not expressly contradicted or contradicted them. 3 These terms and conditions shall apply, subject to a change by caesar data, for the entire duration of the customer relationship, possibly beyond the time of its termination, until the complete settlement of the claims arising from the customer relationship. 4. caesar data is entitled to amend or supplement these General Terms and Conditions with an appropriate period of notice. The announcement is made by publication on the Internet on the website www.caesar-data.de. 1. caesar data provides the customer with its Internet-based software according to the version chosen by the customer. The scope of the contractual services results from the respective contract concluded with the customer. The contract comes into effect when caesar data has sent the Customer the access data required to use the service to the e-mail address provided by the Customer and has activated access. Changes, additions or termination of the contract or individual components must be made in writing. Termination shall only become effective upon confirmation of termination by caesar data. 5. caesar data provides its online service 24 hours a day, 7 days a week. caesar data also uses the help of other companies to perform its services. In this respect, caesar data’s services are subject to correct and timely self-supply, as well as the availability and quality of the transmission paths. 6. caesar data reserves the right to change, extend or improve services. As far as caesar data provides services free of charge, these can be discontinued at any time, without giving reasons. 1. the customer guarantees compliance with legal regulations and official requirements, insofar as they are necessary for participation in the services provided by caesar data. Customer may not use the Service in a manner that does not comply with the appropriate principles of connected networks and Internet standards (RFCs). The customer may not use a name that violates the rights of others to trademarks or trade names. 4. any content protected and distributed by the customer should, without prejudice to any other information required by law, receive a reference to the property right to which it is subject. The Client indemnifies caesar data against any third-party claims that may be asserted against caesar data on the grounds of infringement of the rights of third parties or conduct in violation of the law or the contract. 6. the customer is responsible for the confidentiality of the access code and password. Any damage caused by misuse of the access code and password shall be the responsibility of the customer until caesar data receives information about the misuse by the customer and blocks access within a reasonable period of time. 1. caesar data monitors and controls the proper operation of the online service. The customer is responsible for troubleshooting at the customer’s end devices. 2. if maintenance work on the online service is required, a maintenance window shall be set up, preferably during a period of inactivity. The customer will, as far as possible, be informed in good time of any operational impairments during maintenance work. In the event of faults in caesar data’s online service, the reaction time to the start of the fault rectification on working days in the period from 8:00 to 20:00 is a maximum of 2 hours, in the remaining period a maximum of 8 hours. This requires the cooperation of the customer (duty of cooperation). In this context, the customer shall in particular participate in a detailed description of the fault as well as in the analysis of the fault to a reasonable extent. The remuneration is based on the currently valid price list published on the caesar data website, plus the statutory value-added tax. The customer may only offset claims of caesar data to the extent that the counterclaims are undisputed or legally valid. A right of retention of the customer exists only because of counterclaims from this contract. The remuneration for the respective calendar year will be invoiced by caesar data in advance with the current date of the start of the contract and sent to the address provided by the customer. The invoice amount is due upon receipt of the invoice. If the customer does not meet the payment deadlines set by caesar data, interest at the rate of 4% p.a. above the respective discount rate of the European Central Bank will be charged, subject to the assertion of further damage caused by default. The customer can prove a lower amount of the damage caused by default. In the event of default in payment, caesar data is also entitled to block access. This shall not affect the obligation to pay outstanding claims. In the event of default in payment, caesar data can commission a collection agency with the dunning procedure. 5. reimbursement claims of the customer (e.g. due to overpayments, double payments, etc.) will be credited to the customer’s invoice account and offset against the next due claim, unless the customer gives instructions to the contrary. 1. caesar data is not liable for the information and content transmitted within the scope of the online service, neither for its completeness, accuracy or topicality, nor for the fact that it was not unlawfully transmitted free of third-party rights or by the “sender”, nor for errors by third parties (e.g. hotel software or its interfaces). 2. caesar data is only liable in cases of intent or gross negligence. 3. caesar data shall only be liable in cases of slight negligence if caesar data or its vicarious agents have culpably violated an essential contractual obligation in a manner endangering the achievement of the contractual purpose. In these cases, liability for material damage and pecuniary loss is limited to an amount equal to 5 times the monthly remuneration. 4. any liability is limited to such typical damages whose occurrence caesar data could reasonably have foreseen at the conclusion of the contract under the circumstances known to it at the time. 5. caesar data is only liable for the loss of data in cases of proven gross negligence. 6. caesar data shall not be liable in any way if access is blocked by caesar data due to breach of contract by the customer, in particular also for data transmitted via the online service by the customer before the access was blocked by caesar data. 7. liability for all other damages – on whatever legal grounds, with the exception of intent – is excluded. 8. caesar data is released from its obligation to perform in cases of force majeure. The customer agrees that caesar data collects, stores, processes and transmits personal and company-related data within the framework of legal regulations, insofar as this is necessary for the execution of the contract. 2. caesar data undertakes not to disseminate any connection data, transmitted or stored files. Unless he expressly states the contrary, the customer agrees to serve as a business reference for caesar data. 4 The customer agrees to receive product-related information and advertising materials by e-mail. If the customer no longer wishes this, he can inform caesar data.  1. on 1.1.2009 the company name “caesar-data e.K.” was replaced by “caesar data & software ltd.” in these GTCs due to a change in the company form. 2. on 1.1.2018 the company name “caesar data & software ltd.” was replaced by “caesar data & software GmbH” in these GTCs due to a change in the company form. 1 German law shall apply to the contract. The place of jurisdiction is the registered office of caesar data & software GmbH – Sonthofen. Should any provision of these General Terms and Conditions or the contract be or become invalid, or should a necessary provision not be contained, this shall not affect the validity of the remaining provisions. In this case, the contracting parties undertake to find an amicable provision which, in the event of an invalid provision, comes as close as possible to the economically intended purpose of the invalid provision. 4 The provisions of the German Civil Code shall apply.